Great for the garage or in the car and can prove to be very useful in emergency situations. Equipped with a CREE® XP-E2 R2 bulb in a flashlight head which can tilt up to 90°. Has adjustable zoom focus that utilizes a push/pull head. 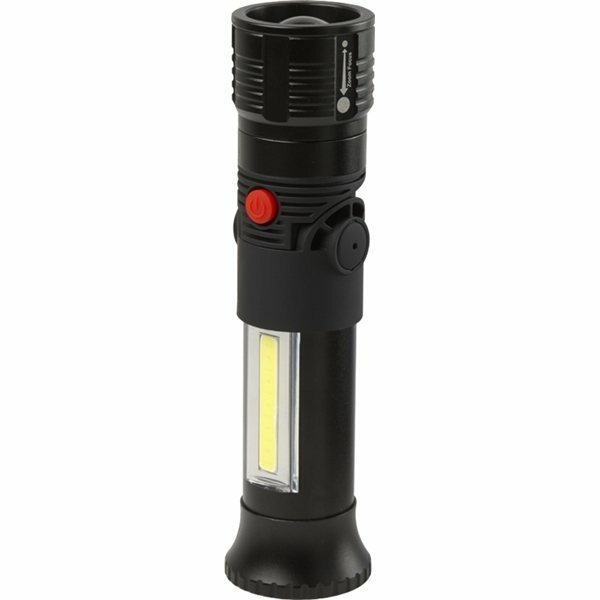 Telescopic shaft of the flashlight has two 3 Watt COB (chip on board) light bars. Features a strong magnetic base for adhesion to cars, work bench or other metal surfaces. Output: 120 Lumens (High), 180 Lumens (Side). very good service. Very fast, easy to order Replaced wrinkly runners with your wrinkle free ones..we shall see if it works at the show next week.